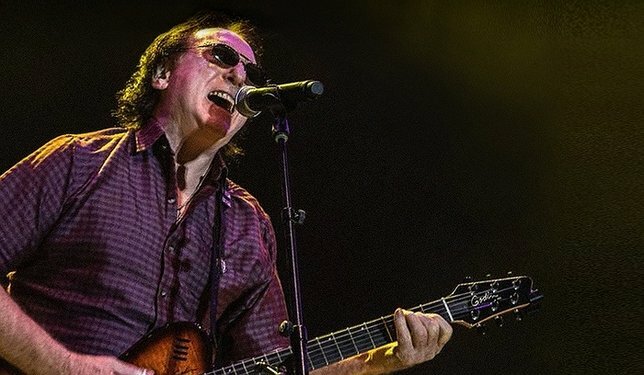 Sag Harbor, NY - February 5, 2019 - Bay Street Theater & Sag Harbor Center for the Arts is pleased to announce the Lead Singer of The Moody Blues & Co-Founder of Wings: Denny Laine live in concert on Saturday, March 2 at 8 pm. Tickets are $35 when purchased in advance and $45 when purchased the day of the event; on sale now at baystreet.org or by calling the Box Office at 631-725-9500. The Box Office is open Tuesday- Saturday 11 am – 5 pm or until showtime. The incomparable Wings album Band on the Run reached #1 in the Billboard® Hot 100 Charts three different times and eventually, the album went triple platinum. In the UK, Band on the Run spent 7 weeks at #1 on the UK’s Guinness® Charts of British Hits Singles and went on to be the TOP selling British album of 1974. In 1975 the album won the Grammy® Award for the single and title track from the 1974 album. At the height of the British Invasion, Denny Laine was one of the most recognizable voices on the music scene. Denny departed The Moody Blues and formed The Electric String Band, writing the hit Say You Don’t Mind, and opened shows for Jimi Hendrix in London. Denny joined the bands Balls as well as Ginger Baker’s Air Force, singing lead on the memorable Man of Constant Sorrow. Throughout his career, Denny has also worked with various members of The Beatles, The Who, Led Zeppelin, Cream, ELO, The Zombies, The Hollies and many more. Denny performs the Band on The Run and The Magnificent Moodies albums in their entirety and more including new material. Songs include: Go Now, Jet, Bluebird, Helen Wheels, No Words, and more. Please note that dancing is permitted, and view of the stage may become partially obstructed for those seated in the first few rows of the theater. Bay Street Theater and Sag Harbor Center for the Arts is a year-round, not-for-profit professional theater and community cultural center which endeavors to innovate, educate, and entertain a diverse community through the practice of the performing arts. We serve as a social and cultural gathering place, an educational resource, and a home for a community of artists. Subject: LongIsland.com - Your Name sent you Article details of "Lead Singer of The Moody Blues, Co-Founder of Wings Denny Laine at Bay Street Theater"